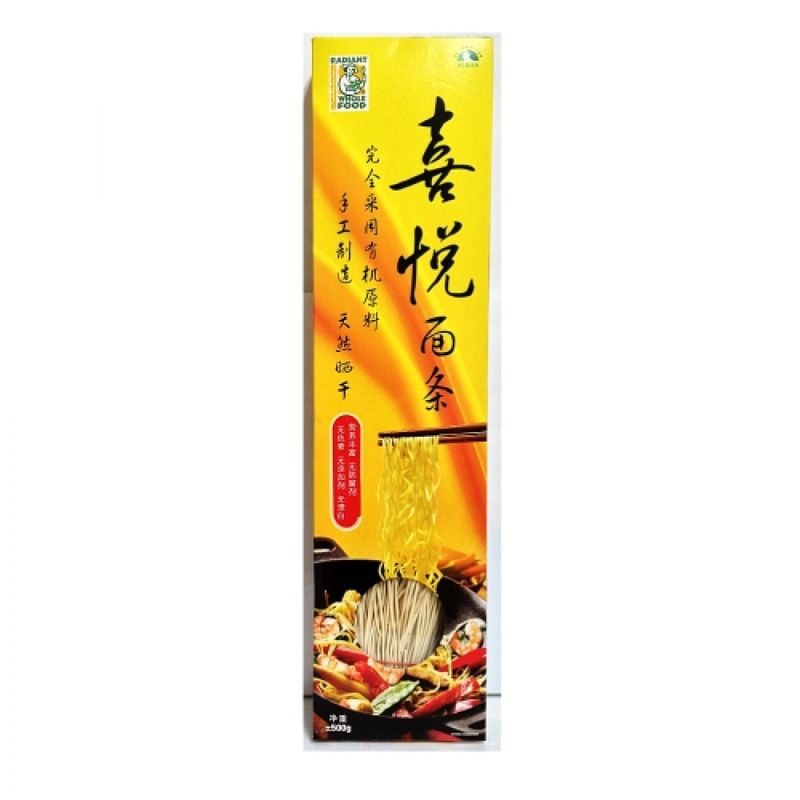 Radiant Happiness Noodle is traditionally hand-made with organic ingredients and is naturally dried under the sun. This noodle can be used all year round in a wide range of Asian and Western dishes, including piping hot noodles in broth, satisfyingly rich stir fries, and succulent summer salads. Great for weddings, birthdays, prosperous and happy celebrations! Soak noodles and drain. Boil noodles in hot boiling water for 5-8 mins. It can be served with soup, stir-fried.